Does your life insurance do that? Answer these four questions and learn how iA Financial Group can offer you more. Can life insurance pay the amount of your coverage to your loved ones in the event of death? Certainly, that’s the basis of life insurance, right? Can the amount of your life insurance coverage increase over the years without you having to pay more? Impossible. No life insurance offers that. Can life insurance give you access to cash for your retirement or personal projects? Can life insurance give you a premium holiday should an unfortunate event occur, such as loss of employment? I’m interested and want to learn more! An iA Financial Group advisor will be pleased to contact you. I hereby authorize iA Financial Group, its subsidiaries and its representatives to contact me at the address and number provided and access any personal information needed to follow up on my request. I agree to receive emails and other electronic messages from iA Financial Group about their products and services. 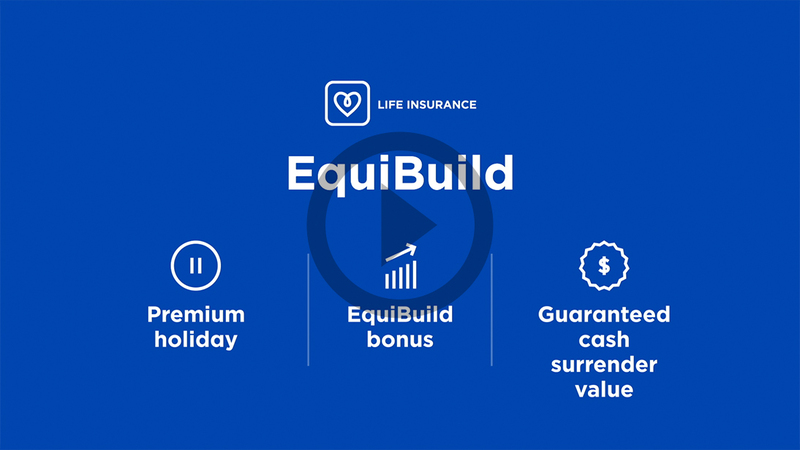 There’s nothing better than a concrete example to help you understand why EquiBuild is the permanent life insurance product for you. © 2019 Industrial Alliance Insurance and Financial Services Inc. – iA Financial Group. All rights reserved.